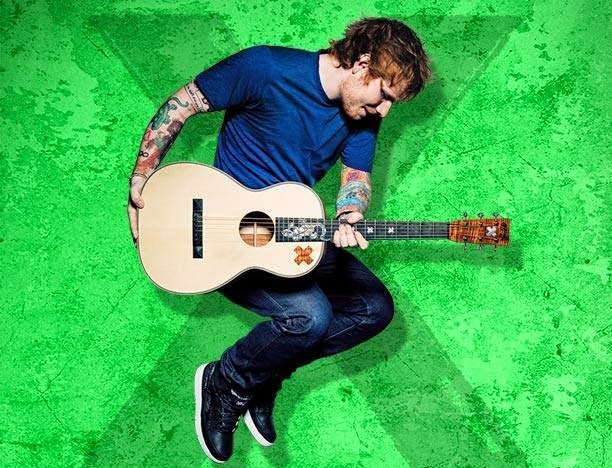 Ed Sheeran will release an expanded version of his second album, “X”, complete with unreleased bonus tracks and a live DVD. Due November 13, “X – Wembley Edition" will be issued digitally and as a two-disc CD/DVD package, with the video and album also offered as individual sets. A number of bonus tracks and unreleased material are presented, including Sheeran's new single with Rudimental, "Lay It All On Me (Feat. Ed Sheeran)." Sheeran says the song is "the final thing I'm releasing for a while." The 90-minute DVD feature, “Ed Sheeran: Jumpers for Goalposts”, captures the singer in concert earlier this year before almost a quarter million fans over three sold out nights at London's Wembley Stadium. Since its 2014 release, “X” reached No. 1 on album charts in 14 countries around the world before achieving platinum sales in 18 countries including the United States and his native United Kingdom, where it was the biggest selling album of 2014. With worldwide sale sof 10 million copies, the project delivered four consecutive platinum singles, including "Sing," "Don't," "Photograph" and "Thinking Out Loud." Sheeran will play his final live dates of 2015 with a series of shows in Australia and New Zealand starting in late November. A full tracklisting for “X – Wembley Edition" can be found below.